Good News, Parents! Exploring Math is as Easy as Reading a Book — Cat & Owl Co. Helping a child learn to read can be as simple as reading a book together and people collectively seem quite comfortable with this routine. With math it may not seem as simple. People tend to approach learning or teaching math skills as isolated drills or flashcards focusing specifically on arithmetic. It is also common for parents to wait until a child is struggling to address a specific issue with math. 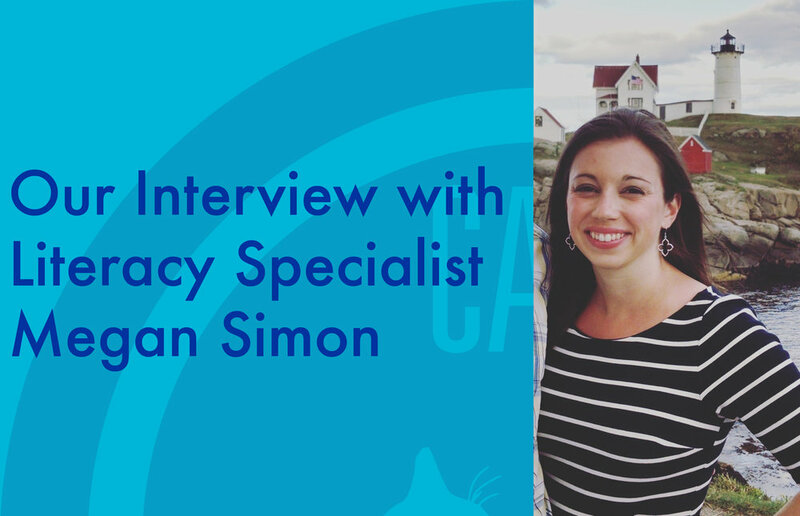 This week we sat down with Literacy Specialist, Megan Bauer, who shared her teaching strategies many of which translate directly to our approach in exploring math at home. The bottom line: start the conversation about numbers and logic early, don’t fear it, and have fun! COCO: What does a Literacy Specialist do? COCO Takeaway: Whether your Kindergartener ends up needing a little extra help or not, building an early foundation for learning reading and math will be more successful when the concepts are reinforced at school and at home. Stay in touch with your child’s teacher and ask how you can help at home. We’re guessing that if you’re reading this blog, you already know this, but a gentle pep talk now and then can’t hurt. COCO: What is your general approach to teaching Reading? MS: To teach pre-reading concepts and phonics, we use an explicit program that begins with teaching letters, sounds, letter formation and phonological awareness (ability to identify and manipulate sounds). We try to incorporate all of the areas of reading (phonological awareness, phonics, fluency, vocabulary, comprehension, and motivation) at once, with adjustments as needed depending on the child. Teaching these skills in isolation makes things more difficult to acclimate children to reading. COCO Takeaway: Teachers are amazing, obviously! But so are all of you great parents out there. While most parents don’t have degrees in education or years of classroom teaching experience, parents do have the strong advantage of knowing their child better than anyone. When it comes to learning a new skill like reading or basic math, parents know what will excite their child. When parents are involved and excited, children tend to be, too. COCO: How do you inspire confidence and excitement in your Kindergarten students? COCO Takeaway: Even if you think your child has mastered a concept, sometimes it’s good to play a game that your child knows and take time to have conversations about the terminology involved or build upon simple concepts with more counters or higher numbers. Perhaps take some time to ask open-ended questions about the game to understand how and why the child responded a certain way. COCO: What do you recommend that parents do at home? COCO Takeaway: Take some time (10 minutes is enough) about 3 times a week to play a game with your child. Repetition builds a comfort with the material that will foster learning, build confidence and help develop communication between parent and child that will grow over time. Resist the urge to give the answer or do the work for them. In preschool and early elementary, it’s more about the journey in reaching an answer and not so much about the answer itself. COCO: But Math and Reading are different skills, right? How can parents make sure they are explaining math to their child in the right way? COCO Takeaway: Whether you are reading with your child, playing a numbers game or just having a conversation with a mathematical spin, Megan assured us that you really can’t play math the wrong way, especially if you bring creativity and optimism to the party. So dive into the games on our site, gather materials that you have at home, or -- for busy parents -- we’ve got you covered with a product made for making learning math fun and easy: COCO Cache. About Megan Simon: Megan attended Ithaca College and majored in Communication Management and Design. After finishing college, she joined Teach For America and taught 2nd and 3rd grade in a rural school in North Carolina. Before going back to school at Boston University for her Master’s of Education in Reading, Megan also worked at a Washington D.C. charter school. She is now an elementary literacy specialist on the North Shore of Boston and is in her eighth year of teaching. Haven't signed up for the newsletter yet? Click here to subscribe.